For the second time in the the last two years, Cars.Com has named Volkswagen's Tiguan the 'Best Compact SUV." 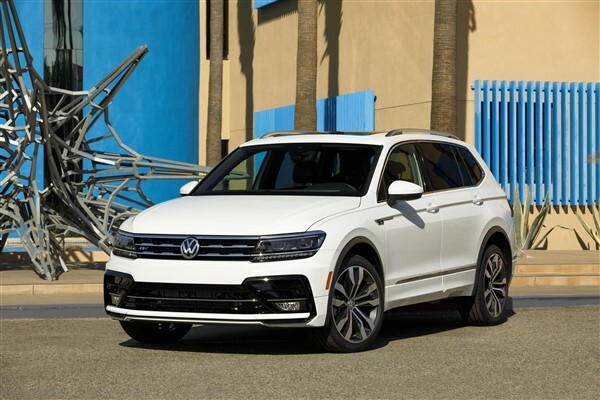 For the second year in a row, Volkswagen’s Tiguan has been named Cars.com’s the “Best Compact SUV of 2019.” The Tiguan’s competition was intense in Cars.com’s Compact SUV Challenge. The Compact SUV Challenge focused on SUVs updated or redesigned since the site’s last compact SUV test in 2017 and invited back winners and runners-up that stood on the podium along with the Tiguan (Volkswagen Tiguan, Honda CR-V, and Mazda CX-5, the latter of which declined participation). The Compact Challenge targeted higher-end trim levels with MSRP spanning from $34,000 to $40,000. Each SUV included all-wheel-drive, forward collision warning with automatic braking. The Cars.com Compact SUV Challenge focused on SUVs updated or redesigned since the site’s last compact SUV test in 2017 and invited back podium finishers (Volkswagen Tiguan, Honda CR-V, and Mazda CX-5, the latter of which declined participation). Cars.com targeted higher-end trim levels with MSRP spanning from $34,000 to $40,000. Every SUV included all-wheel drive, forward collision warning with automatic emergency braking, a sunroof, in-dash navigation, dual-zone electronic climate control and more. All included Apple CarPlay® integration and all but one Android Auto® integration. The 2019 Tiguan is available in seven-time levels, the S, SE, SEL, SEL R-Line Black, SEL Premium, and SEL Premium R-Line Each Tiguan comes with the industry’s best bumper-to-bumper limited Warranty of six-years or 72,000, whichever comes first. Second and subsequent owners can benefit from the transferability of the warranty throughout its term. For more information, including scoring details, photos, and videos from the Cars.com Compact SUV Challenge visit www. Cars.com/news. Pricing for the S FWD (Front-Wheel-Drive) begins at $24,295.